SHRM is once again at the center of a controversy this time over its partnership with Koch Industries owned by the politically active billionaires Charles and David Koch. 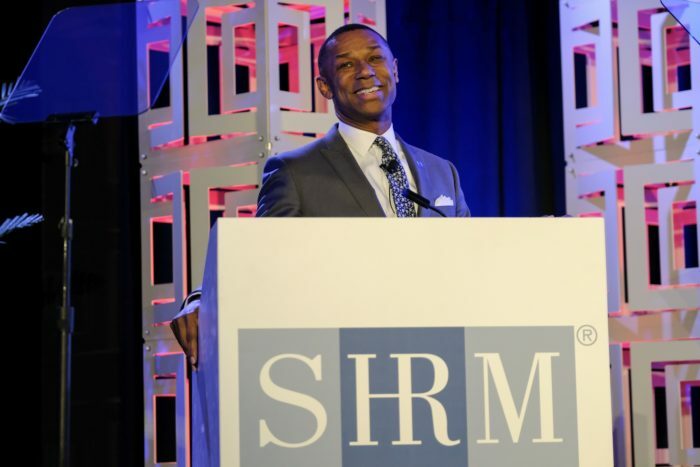 Last week, SHRM announced Getting Talent Back to Work, an initiative to encourage American businesses to hire individuals with a criminal background. While the issue is one that has been championed by many HR professionals, and tends not to itself be politically charged, it was SHRM’s research collaboration with the Charles Koch Institute and the announcement suggesting a close association with the privately-held Koch Industries conglomerate that prompted an immediate response from a number of SHRM members who follow the #fixitSHRM Twitter hashtag. “Great initiative @SHRM, however a partnership with @Koch_Industries is a mistake! Next thing you know they’ll start supporting active shooter training for the workplace instead of working towards shooting prevention,” posted Kate Karre, PHR, SHRM-CP, an HR administrator. Dozens of other posts have since appeared, most expressing similar sentiments. The controversy gained ground after it was reported by HRDive a few days after the #fixtitshrm tweets began appearing. In a statement HRDive attributed to SHRM, the organization said its decision to partner with the Kochs and other “key advocates” of the movement to hire ex-offenders was “driven by the picture: “650,000 people leave incarceration each year, but their unemployment rate is five times the national average at a time when American employers face a critical talent shortage. 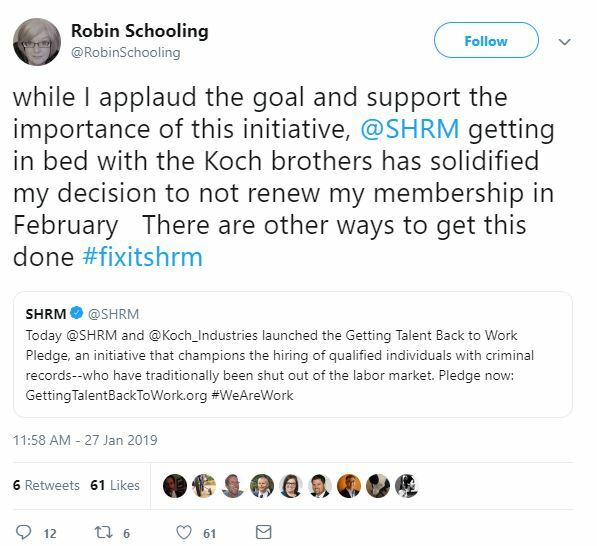 The outcry over the SHRM partnership with Koch Industries is only the latest issue to be taken up by #fixitSHRM followers. Last summer the hashtag was used to condemn a White House photo op between Taylor and President Trump. Taylor was shown shaking hands at an event announcing Pledge to American Workers, a jobs training initiative. Many of those speaking out now about the Koch partnership were also sharply critical of Taylor’s participation at the event.